After seven years, most of Japan's nuclear refugees from Futaba, the scene of the March 2011 Fukushima nuclear meltdown, have resigned themselves to the fact that they must build new lives elsewhere and will never be able to return home. Nevertheless, they cling to memories of the past while officials remain optimistic a future still exists where people, jobs and lessons learned from the disaster-hit Fukushima Daiichi plant will bring the town back to vibrancy. Sayoko Takada, 65, a widow whose brother-in-law died last year due to "stress and sickness" related to the prolonged evacuation, lives on her memories in the Fukushima prefectural city of Koriyama, nearly 60 kilometers from Futaba. Her husband, a rice farmer, passed away before the March 11, 2011 earthquake and tsunami that struck northeastern Japan. Their home, standing in a coastal area 4 km from the plant, was wiped out by the tsunami, as was the public cemetery where the family kept its tombstone. Takada, who in recent years has gained 15 kilograms due in part to an inactive lifestyle, began growing potatoes and onions in a small plot in Koriyama where about 800 evacuees now reside. 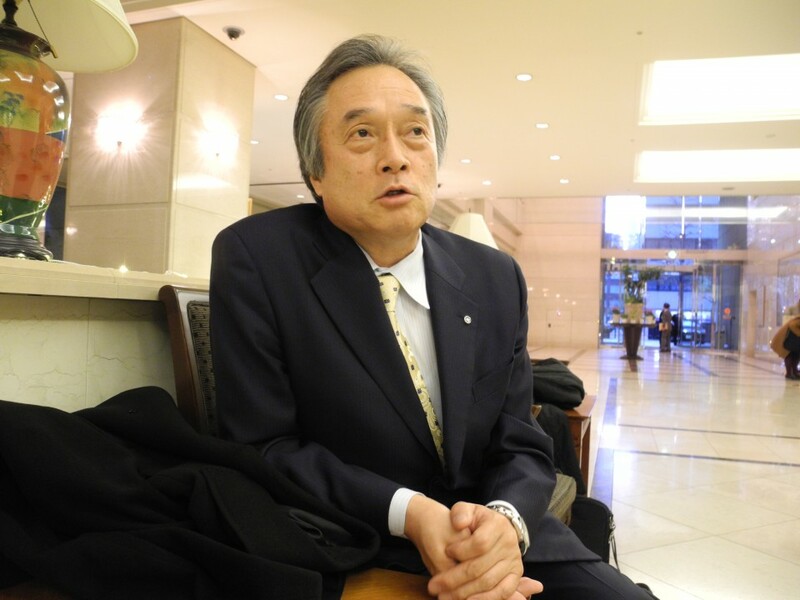 "That is my pleasure now," Takada told Kyodo News. As Takada lost almost all of the photos she used to own in the disaster, she now enjoys photographing tidbits of life. "For summer, I am looking forward to enjoying the fireworks from my room on the fifth floor of my public housing," she said. Takada takes classes once a month, such as flower arrangement, yoga and bowling, with acquaintances at a community center run by the Futaba local government. Her group is planning a day trip in May to a national flower park in a neighboring prefecture. For over three decades, the nuclear power complex in Futaba supplied electricity, mainly to Tokyo, about 230 km south, without using any itself. Like nearby small municipalities, by hosting the plant, the town benefitted from the central government's subsidies to support its poor revenue from rural farming. Now almost all of the nearly 7,000 Futaba citizens have scattered across the country due to the nuclear disaster, and 96 percent of the town is still off-limits for habitation. Takada, her adult children and their families, who live about a 10-minute drive away from her public housing, have no intention of returning to Futaba. "Even if the evacuation order were to be lifted, I would not go back," she said. Kichio Ito, 76, chairman of the Futaba residents association who resides in Koriyama, the first among all nine such bodies across eastern Japan, has devoted himself to forming a community among the evacuees, which includes a former worker from the crippled plant, to ensure solid local ties. Ito, a former official of a chapter of the ruling Liberal Democratic Party in Fukushima, has used government compensation to purchase a home that can accommodate his children and grandchildren. "If the state had said we have to rent land without any assistance from the reconstruction budget after decontamination, I don't know how we could have rebuilt our lives," Ito said. "My grandchildren have gotten used to life here in their elementary and kindergarten schools." Nearly two-thirds of Futaba's citizens are aged 60 or older. According to an annual survey released in February, 61.1 percent of all citizens have decided "not to return," although 84.7 percent say they still obtain information about the town and the whereabouts of locals from a monthly magazine circulated via a free tablet device. As of February, 277 babies born since the disaster had been registered with the Futaba town government, underscoring their parents' unwillingness to abandon their home despite little hope of returning. Futaba Mayor Shiro Izawa accepted a state proposal in January 2015 to build the Interim Storage Facility in an area across his town and the adjacent town of Okuma to safely manage and store large quantities of soil and waste contaminated with nuclear radiation. In September 2017, the town's reconstruction plan for an area surrounding Futaba Station on the JR Joban Line -- still partially stalled -- was approved by the central government, the first case among the so-called 12 disaster-stricken municipalities. Izawa aims to attract firms such as those for nuclear technology research and development into the area to create jobs and help citizens explore opportunities to return. "I want to transform negative images (of the nuclear town) into positive ones, such as being a town with cutting-edge technology to tackle a nuclear crisis," Izawa said. But the Fukushima prefectural government predicts that the scheduled decommissioning of the plant will require 30 to 40 years to complete. There is also still no consensus on how exactly to deal with the meltdown debris inside the reactors, which could exacerbate the high levels of radiation. "Futaba has cooperated with the state on energy policies and also accepted the facility," he said, adding that the memories of Futaba should never be forgotten. Although many citizens have dismissed any hopes of returning, about three-quarters of evacuees one day wish to visit Futaba at least once a year, especially for events like the summer dance festival, the annual survey showed. For the past two years, Mieko Ito, wife of the Futaba residents association's chairman, has visited Iwaki, which hosts the largest portion of over 2,000 Futaba evacuees, to join such festivals where the locals enjoy old folk songs and dances. "We maintain our ties through such gatherings, otherwise we would have nothing," said Mieko, 75, a traditional folk dance instructor.